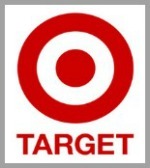 Today only, you can head into Target to take advantage of some early Black Friday deals! Target released a batch of Cartwheel coupons that are only good today. Many are super high value like 60% off! Remember these work on up to 4 products per coupon. If you are wanting to prep for Black Friday, you can see the full Target Black Friday ad here.